China may be blocking access to Facebook, but that doesn’t mean the social media network can’t one day enter the country, as long as it follows the rules, a top government official said on Thursday. Lu Wei, the director of China’s State Internet Information Office, made the comment at a press conference after media outlets had previously reported him saying that Facebook would never be allowed in the country. “The media claimed that I said ‘it would absolutely impossible.’ Today, I can tell you that this news is fake,” he said, according to a government transcript of his comments. 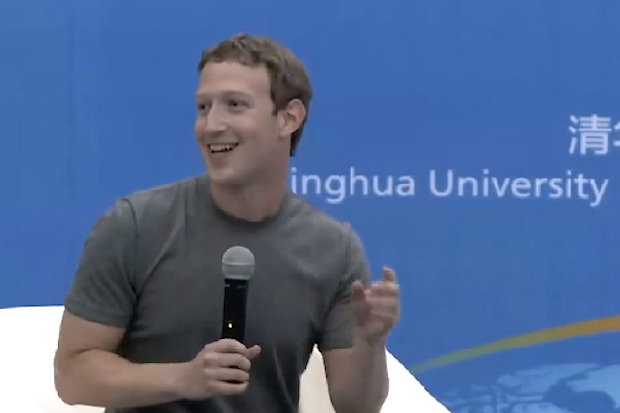 Just a week ago, Facebook CEO Mark Zuckerberg was in China, where he spoke at an event almost entirely in Mandarin. Zuckerberg’s language skills stunned Chinese Internet users, and caused many to ask when the site might arrive in the country. “If China’s laws and regulations are respected, we welcome all of the world’s Internet companies to enter the Chinese market,” he added. Following those rules, however, would also mean adhering to China’s strict censorship policies, which often silence mention of politically sensitive topics. Since 2009, the country has been blocking Facebook, after ethnic riots broke out in China’s Xinjiang region. Zuckerberg has visited China four times, and in the past met with the country’s most popular tech companies including search company Baidu and handset maker Xiaomi. But the U.S. social networking firm has made no mention of entering the Chinese market any time soon, aside from selling online ads to merchants in the country. During Thursday’s press conference, Lu said China’s “management” of the Internet has always accorded with the laws, and was meant to protect the country. Lu spoke as he announced that the country is preparing to hold a government-backed global Internet conference later in November. Companies from China and foreign markets including the U.S. have been invited to attend. China has over 600 million Internet users. The government hopes the meeting will foster cooperation between countries, despite different views on how to regulate the Internet. “We have our differences, but we can’t decide to not communicate,” Lu said.